DEATH VALLEY– The National Park Service has completed its final environmental reviews of proposed projects to repair flood damage at Scotty’s Castle. Death Valley National Park An artist's rendering shows the Scotty's Castle attraction site, showing berms and flood walls being put in place to prevent flood damage in the future. Death Valley National Park The photo shows a visualization of flood channel placement behind the stables at Scotty's Castle in Death Valley. Meanwhile, work has already started on projects approved earlier. The popular historic site could be partially open by late 2020 and is expected to be fully open by late 2021. A severe flash flood on the night of Oct. 18, 2015, sent water, mud, and rocks rushing down Grapevine Canyon. The flood broke through the walls of the historic garage, in use by the National Park Service as the site’s visitor center, and filled it with four feet of debris. Two other historic buildings were damaged by the flood. The main house escaped the path of the flood, but bore lesser damage from water intrusion from heavy rain. 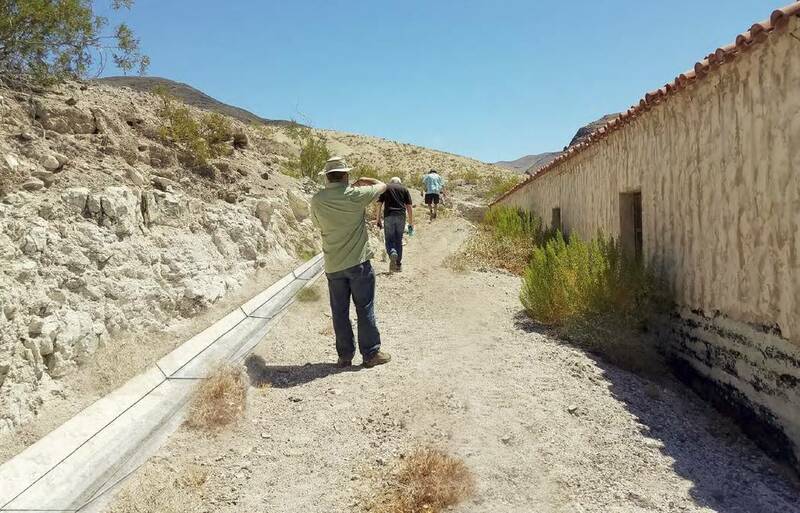 The National Park Service prepared two environmental assessments, each of which addressed different proposed actions to repair flood-damaged infrastructure in Grapevine Canyon. The Bonnie Clare Road Reconstruction environmental assessments was finalized in May 2018 and approved proposals to reconstruct 7.6 miles of Bonnie Clare Road, install 4,000 feet of waterline under the road, reconstruct damaged portions of the historic concrete and wire fence and stabilize the historic bridge and gatehouse. Road and Highway Builders started work in December 2018 on all four of these projects under contract managed by the Federal Highways Administration. The Scotty’s Castle Flood Rehabilitation environmental assessments was finalized on March 12. 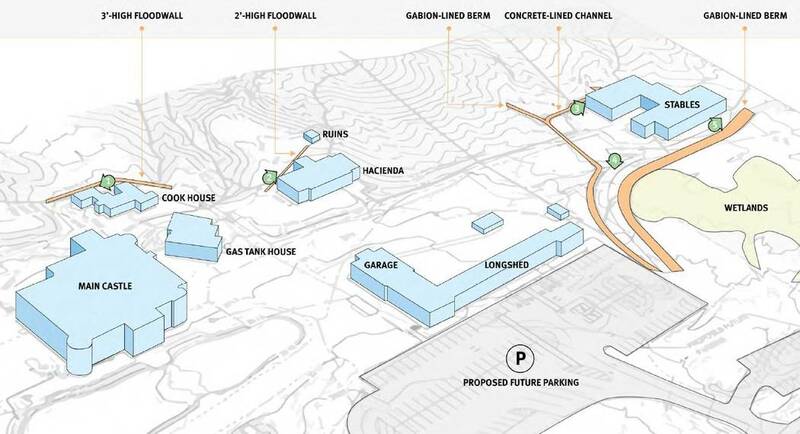 Some proposed actions approved in this environmental assessment include repairing historic structures, replacing components utility systems, building a second public restroom, building flood control structures, and building a cooling tower for a replacement heating, ventilation, and cooling (HVAC) system. This National Park Service completes the legal requirements of the National Environmental Policy Act, but each project will need additional review to meet requirements of the National Historic Preservation Act. If things go smoothly, several major contracts should be awarded within the next six months.